Resolution is at the country level, so the country-wide average values are not representative of usage in remote areas of the country (i.e., the Canadian northern territories). 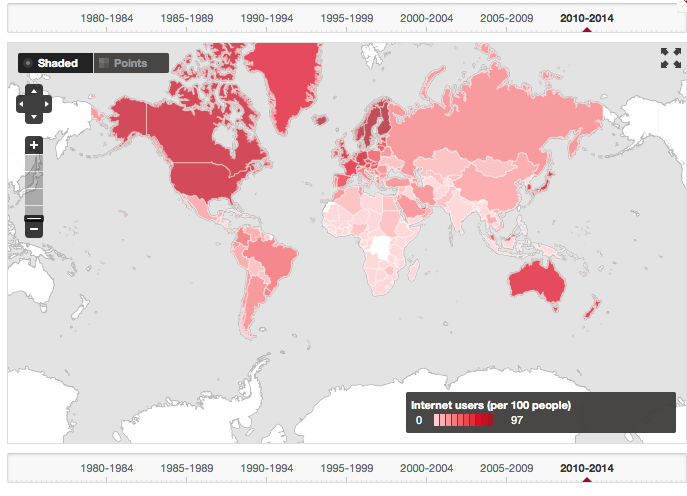 Nonetheless, the map of the global distribution of Internet users is an interesting result that is quickly available from World Bank data. 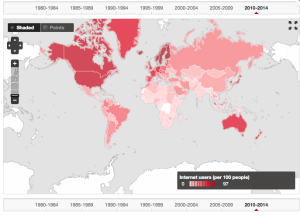 The World Bank website look like an interesting site to explore at your leisure.